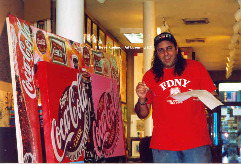 PAINTINGS PROVIDED BY AMERICAN POP ART, INC. AND STEVE KAUFMAN ART LICENSING LLC TOURED iNTERNATIONALLY WITH THE COCA-COLA BOTTLE 100 ART TOUR. vISIT THE WORLD OF COCA-COLA MUSEUM IN ATLANTA, GEORGIA, USA WHERE YOU CAN SEE THEM ON DISPLAY. 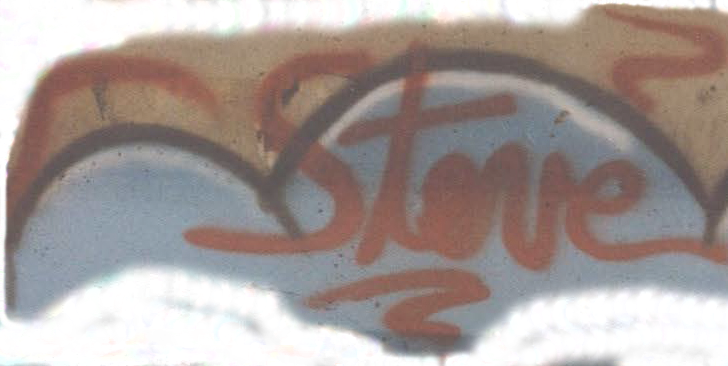 CLICK HERE to see PHOTOs BY COUNTRY!!! 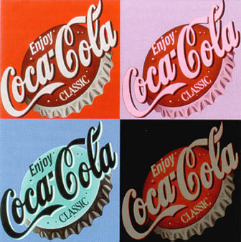 June 1, 2015 / New York, NY -- American Pop Art, Inc. and Steve Kaufman Art Licensing LLC are proud to announce that Coca-Cola art by Steve Alan Kaufman (SAK) is featured in “The Coca-Cola Bottle Art Tour: Inspiring Pop Culture for 100 Years,” an international art installation in celebration of the 100th Anniversary of Coca-Cola’s iconic glass bottle. The two-part tour will visit more than 15 countries and travel 62,000 miles before its conclusion in Sydney, Australia in late 2015. 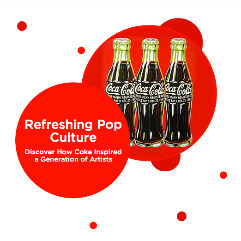 Steve Kaufman, former assistant to Andy Warhol, is also one of 14 notable artists profiled in Coca-Cola’s “Refreshing Pop Culture,” an online gallery at https://www.happiness.coca-cola.com/ie/en/coca-cola/contour/popart. Steve Kaufman’s Coca-Cola art and sculpture were previously on exhibit at The Pop Culture Gallery at The World of Coca-Cola in Atlanta, GA from 2009-2010. 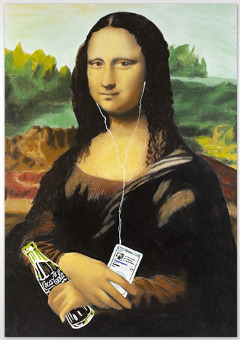 One of Steve Kaufman’s most recognizable Coca-Cola inspired paintings is “Mona Lisa, A Coke and a Smile,” painted in 2007. Coca-Cola is celebrating the 100th year of its historic bottle with a two-part traveling art exhibition and a series of online recollections that trace the history of the soft drink’s first release in 1915 to its popularity in the present day. The Coca-Cola Bottle 100 Art Tour showcases pieces produced by about two dozen multidisciplinary artists -- from icons like Andy Warhol, Steve Kaufman, Norman Rockwell and Clive Barker, to up-and-coming artists and graphic designers -- plus historical artifacts and interactive experiences that showcase the bottle's imprint on the art world and pop culture. 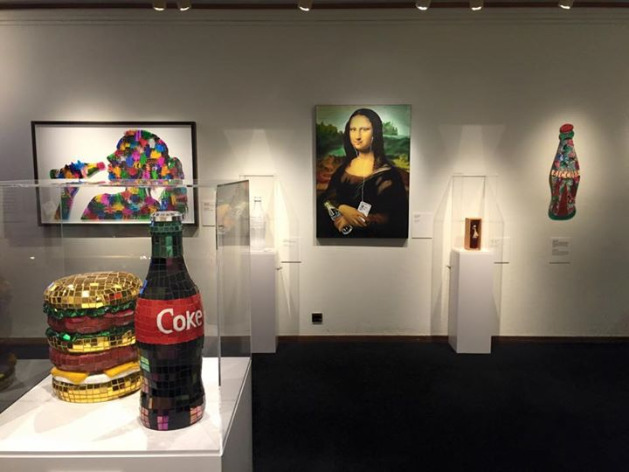 The Coca-Cola Bottle 100 Art Tour’s first installation featuring Steve Kaufman art launched in Cape Town, South Africa in late February and will also visit China, Southeast Asia, and select European countries before its final stop in Australia. A second installation and different art collection is currently traveling the Americas including Brazil, Mexico, Argentina, and the Dominican Republic. 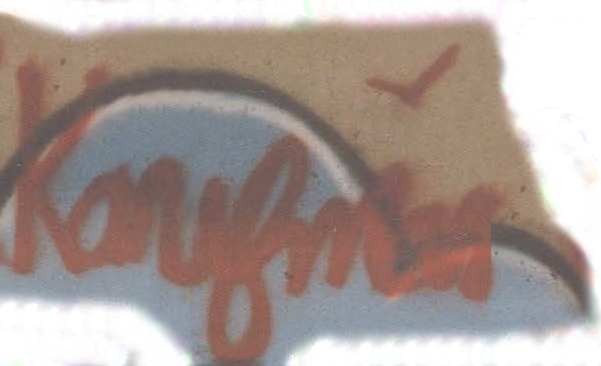 In the U.S., an exhibit at the High Museum of Art in Atlanta features objects, photos, and about 15 works by Andy Warhol. Coca-Cola has also unveiled licensed merchandise inspired by its bottle’s 100th Anniversary. 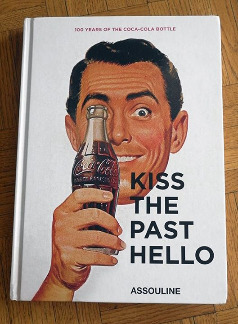 Steve Kaufman art is featured in Kiss the Past Hello, a limited-edition book published by Assouline celebrating the rich history of the Coca-Cola bottle as interpreted by designers and artists. 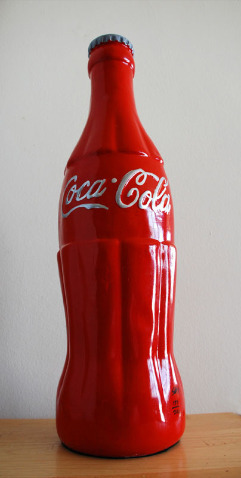 The book is available at http://www.assouline.com/kiss-the-past-hello-100-years-of-the-coca-cola-bottle.html.